VIENNA - Foreign Minister Taro Kono said Thursday that Japan will support the International Atomic Energy Agency if it conducts inspections of North Korea’s nuclear facilities. 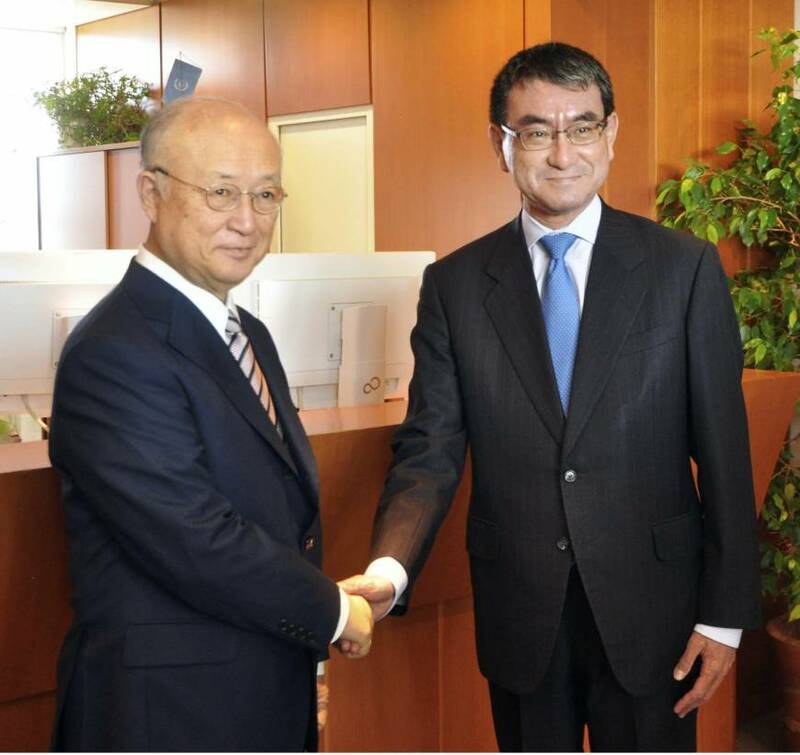 During his meeting with IAEA Director General Yukiya Amano, Kono conveyed that Tokyo is ready to help by shouldering part of the initial costs needed for such inspections and dispatching nuclear experts if Pyongyang agrees to have its facilities inspected after promising to work toward denuclearization of the Korean Peninsula. Kono, speaking at the outset of the talks, stressed the need to end the North Korean crisis. 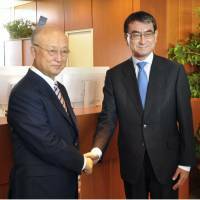 He told Amano that the Japanese government will offer “an appropriate level of support” with an eye to tapping Japan’s contribution to the IAEA, which is worth around ¥350 million ($3.2 million). The IAEA will make preparations so inspections can start swiftly once requested, Amano said during the meeting, in an apparent reference to inspections in North Korea. Kono also expressed Japan’s willingness to back a 2015 deal on Iran’s nuclear development, from which the United States has withdrawn. Under the international deal between Iran and six major powers — Britain, China, France, Germany, Russia and the United States — Tehran agreed to curb its nuclear activities in exchange for the lifting of crippling economic sanctions. Kono is in Austria as part of a trip, and will also visit Poland.